It's almost 4th of July weekend and I'm ready to celebrate my country's independence! Want to celebrate with me? 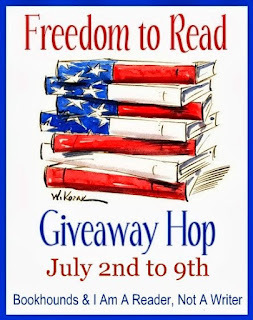 As part of the Freedom to Read Giveaway Hop, I'm thrilled to offer two books to one lucky winner courtesy of Penguin. Fifteen-year-old orphan Ana (“one n, like fauna—not Anna, like ‘banana’”) Cortez has just blown her last chance with a foster family. It’s a group home next—unless she agrees to leave East Los Angeles for a farm trainee program in Northern California. When she first arrives, Ana can’t tell a tomato plant from a blackberry bush, but Ana comes to love Garber Farm. 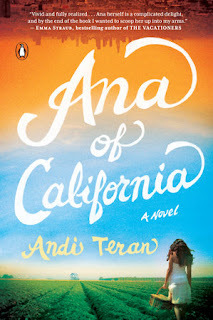 When she inadvertently stirs up trouble in town, Ana is afraid she might have ruined her last chance at finding a place to belong. 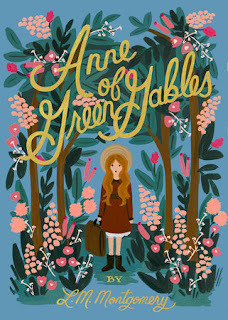 As a companion to this new book, the winner will also receive this beautiful edition of Anne of Green Gables. This giveaway is open only to U.S. mailing addresses per the publisher's request. To enter, complete the following Rafflecopter by midnight Eastern time on July 9. The winner will be notified by email and will have 48 hours to respond before a new winner is selected. Check out the other giveaways on this hop! Yes! It's always fun to see how authors put their own spin on classics. I loved Anne of Green Gables, I'm curious how the new one is told. I haven't read it yet, so I'm curious too! !